A member of the Lawrence University Board of Trustees is among several individuals President Barack Obama has announced as nominees to key administration posts. Bill Baer, a member of Lawrence’s Board of Trustees since 2001, has been nominated for Assistant Attorney General for the Antitrust Division of the Department of Justice. A 1972 Phi Beta Kappa graduate of Lawrence, Baer is the chair of the Antitrust Practice Group at Arnold & Porter LLP in Washington, D.C. He joined the firm in 1980 and was named a partner in 1983. In his practice, Baer represents a broad range of companies in U.S. and international cartel investigations, mergers and acquisition reviews and in antitrust litigation. He began his legal career in 1975 as a trial attorney for the Bureau of Consumer Protection at the Federal Trade Commission and later spent four years (1995-1999) as the FTC’s director for the Bureau of Competition. After graduating with a bachelor’s degree in government from Lawrence, Baer earned a law degree from Stanford Law School. One of the world’s pre-eminent primatologists discusses his ground-breaking discoveries on the connections between primate and human behavior, from aggression to morality and culture, in a Lawrence University convocation. Frans de Waal, C. H. Candler Professor in the psychology department at Emory University, presents “Morality Before Religion: Empathy, Fairness and Prosocial Primates,” Thursday, Feb. 2 at 11:10 a.m. in the Lawrence Memorial Chapel. de Waal also will conduct a question-and-answer session at 1:30 p.m. in the Warch Campus Center cinema. Both events are free and open to the public. de Waal, who directs the Living Links Center at the Yerkes National Primate Research Center in Atlanta, the oldest and largest primate research institute in the nation, is credited with introducing the term “Machiavellian” to the vocabulary of primatologists. In his first book, “Chimpanzee Politics,” he compared the schmoozing and scheming of chimpanzees involved in power struggles with that of human politicians. In 1994, then-Speaker of the House Newt Gingrich put “Chimpanzee Politics” on the recommended reading list for all freshmen Congressmen. de Waal came to the United States in 1981 and spent the first 10 years of his American career with the Wisconsin National Primate Research Center in Madison. He is the author of 13 books on primate behavior, among them 2009’s “The Age of Empathy: Nature’s Lessons for a Kinder Society,” “Primates and Philosophers: How Morality Evolved,” “Peacemaking Among Primates” and 1998’s “Bonobo: The Forgotten Ape,” the first book to combine and compare data from captivity and the field. 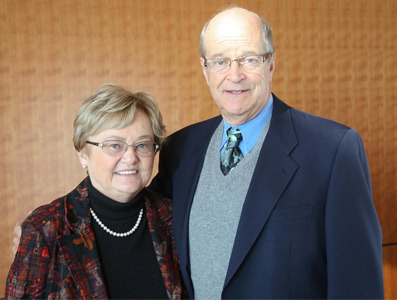 His research has earned him election to both the National Academy of Sciences and the Royal Dutch Academy of Sciences. The latest playwriting project of Tim Troy, professor of theatre arts at Lawrence University, “The Life of Me,” will be performed Monday, Dec. 19 at the Playwrights Center in Minneapolis, Minn., as part of the company’s Members Stage Reading series. The reading, at 6:30 p.m., is free and open to the public. The reading, which explores many of the cultural and political conflicts that marked the period from 2003-05, features Katie Hawkinson ’09 in the role of Julie and veteran Milwaukee area actor Jacque Troy in the lead role of Kate, along with some of the Twin Cities best actors. An earlier version of the play was presented at Lawrence in the spring of 2006. A parent’s capricious demand to inflate her son’s grade threatens Kate’s career. Surrounded by eclectic siblings who’ve conspired to reconcile an on-going family crisis, Kate desperately seeks renewed stability in her personal and professional relationships. She turns to art, literature and religion to lead her past doubt, learning that even a middle school teacher is vulnerable to those who will use faith as a weapon. Almost two years after a devastating earthquake leveled much of the island nation of Haiti, Lawrence University’s campaign to help rebuild the Holy Trinity Music School in Port-au-Prince is taking shape. 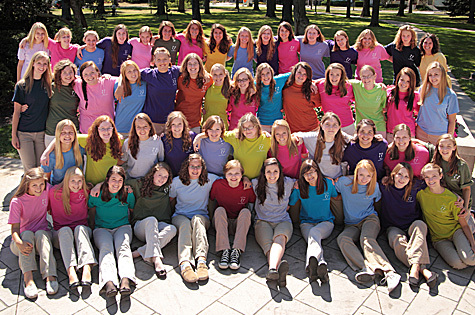 The school, a long-time destination for Lawrence student and faculty volunteers, was destroyed by the January 12, 2010 earthquake that killed more than 200,000 Haitians. Nine days later, Lawrence hosted the “Concert for Haiti” which was recorded by Fox-11 WLUK and rebroadcast several times across Northeast Wisconsin. The concert raised $32,000 through donations from the community and a recent gift from the Episcopal Diocese of Fond du Lac pushed the overall total to more than $40,000. The funds are now being sent to Haiti to begin reconstruction efforts. 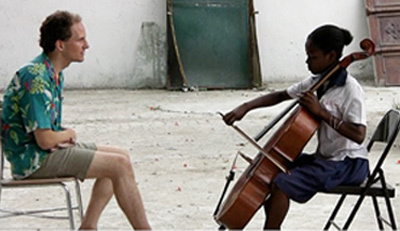 Tom Clowes '01 is one of numerous alumni who have traveled to Haiti to work with young music students there. The funds raised, with generous support from Fox-11 WLUK, the Episcopal Diocese of Fond du Lac, the Community Foundation for the Fox Valley Region, the American Red Cross and the Northeast Wisconsin community, are being used to build a temporary shelter in downtown Port-au-Prince that will house two rehearsal halls, a studio and an instrument depot, as well as office space at the school’s annex in nearby Petionville. Since 1996, Lawrence students and faculty have traveled to Haiti to teach at various music programs. The Holy Trinity Music School began in 1963 and slowly became one of the only institutions in Haiti to integrate children from all economic levels. At the time of the earthquake, more than 1,200 students attended the school with its five orchestras, three bands and the renowned Petits Chanteurs. Over the years, the music school has gained international acclaim, touring the United States several times. Lawrence University junior Phillip Dobernig earned second-place honors Nov. 26 in the Civic Music Association of Milwaukee Collegiate Music Competition, which was conducted at the Sharon Lynne Wilson Center for the Arts in Brookfield. A saxophone performance and music education major from Mukwonago, Dobernig was one of six musicians selected as finalists for the competition. He received a $1,500 scholarship for his performance, which included the pieces “Brilliance” by Ida Gotkovsky and “Tableaux de Provence” by Paule Maurice. He is a student of Professor of Music Steven Jordheim. Dobernig is a member of the Lawrence University saxophone quartet that won the 2011 Neale-Silva Young Artists competition sponsored by Wisconsin Public Radio and the 2010 Lawrence Symphony Orchestra Concerto Competition. The Civic Music Association of Milwaukee Collegiate Music Competition is open to continuing college students — instrumentalists and vocalists — who either graduated from a Milwaukee area high school or who currently attend a Milwaukee area college. Lawrence University Professor of Anthropology Peter Peregrine has been elected a Fellow of the prestigious American Association for the Advancement of Science. Peregrine is just the second Lawrence anthropologist elected an AAAS Fellow, joining professor emeritus Ron Mason, who taught at Lawrence from 1961-95. The AAAS has approximately 125,000 individual members and only about 500 are elected Fellows each year. An archaeologist, Peregrine joined the Lawrence faculty in 1995 after spending five years in the anthropology department of Juniata College in Pennsylvania. Specializing in the evolution of complex societies, Peregrine’s scholarship interests include how ancient people first came to live together in large communities with powerful political leaders and how people from different cultures and speaking different languages interact and sometimes merge. He earned his bachelor’s, master’s and doctorate degrees from Purdue University. Founded in 1848, the AAAS is an international organization dedicated to advancing science around the world and serves more than 260 affiliated societies and academies of science and 10 million individuals. Its flagship publication, Science, has the largest paid circulation of any peer-reviewed general science journal in the world.